There are several treatment options available for Obstructive Sleep Apnea (OSA) including weight loss and behavior modification like changing sleep position or decreasing alcohol consumption. Oral devices have been successful and Continuous positive airway pressure (CPAP) breathing devices are common, and can be effective if used properly. However, some patients prefer a remedy that allows freedom from the burden of sleeping tethered to a machine for the rest of their lives. A surgical procedure known as Maxillomandibular Advancement (MMA) is a viable first line treatment option for specific candidates who meet the criteria for success. Younger age, lower body mass index (BMI), and existing anatomical structure are a few of the patient characteristics that predict greater surgical success. Most patients who choose this treatment option report satisfaction with OSA-related quality of life measures and with the reduction of daytime sleepiness. Typical OSA symptoms of snoring and snorting, or the periodic interruptions in breathing which can leave the person gasping for air, are an annoyance to the patient and his or her partner. More importantly, these signs of sleep apnea are also linked to many serious health threats including heart disease, high blood pressure, Type 2 diabetes, weight gain, asthma, acid reflux and car accidents. One measure used to grade the severity of OSA is the number of breathing cessations that occur per hour of sleep, known as the apnea-hypopnea index (AHI). Another measure is the reduction in blood oxygen levels that result from these stoppages. It is essential for the OSA patient to familiarize himself with success rates and potential pitfalls of various treatment options. He should discuss all treatment alternatives with his trusted healthcare professionals so he is able to make an informed decision on his course of action. What results determine whether or not a treatment is deemed successful? The patient’s self-reported resolution of the snoring and other symptoms of obstructive sleep apnea and acknowledgement of improved sleep quality are a major indication that the treatment was successful. Data showing a lower AHI score and restored oxyhemoglobin confirm the clinical results. 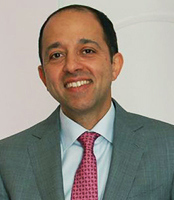 Kayvon Haghighi, DDS, MD, FACS is licensed to practice both medicine and dentistry in the state of New Jersey. Dr. Haghighi’s unique combination of surgical training and experience in facial reconstruction enables him to analyze your condition from multiple points of view.